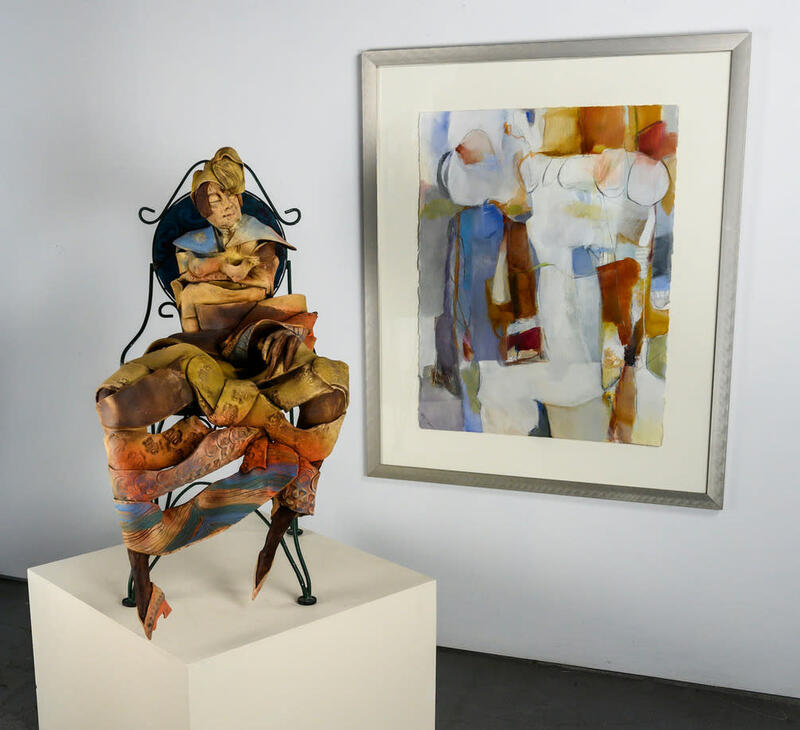 Echoes showcases the art of Kathy M Friesz’s abstract paintings and Leona Lazar’s abstracted ceramic sculptures curated as complementary parings reflecting the relationships between their pieces. Kathy's paintings: Quiet and soothing; transparent and layered; luminescent; atmospheric and ephemeral. Leona's ceramic sculptures: Narrative yet conceptual; emotional and raw; animated and dynamic; textured and grounded. When opposites come together, a curious synergy builds! Stylistically, they occupy opposite ends of the art spectrum. However, observing their color palettes, shapes and forms, movement and how these elements are used to pull together a composition and develop the mood or character of a piece – they discovered that with their disparities – there are also fascinating similarities. The pieces seem to play off each other, complementing and echoing each other. Artists on Santa Fe is a gallery with working artists' studios located in the heart of the Art District on Santa Fe. It's an engaging environment where visitors can interact with professional artists and view work in progress. “Echoes - Leona Lazar and Kathy M. Friesz” will be on display May 1 - June 3, 2019.